Sometimes people give their brands a name, and with that title, it ends up describing exactly what the products are about. 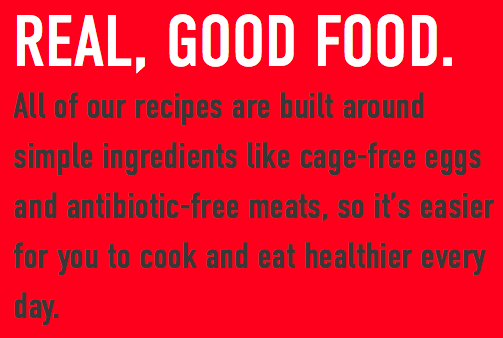 Good Food Made Simple is exactly that! I wasn't sure what to expect when I was given the opportunity to try frozen foods, something I haven't had or thought about in a long time. 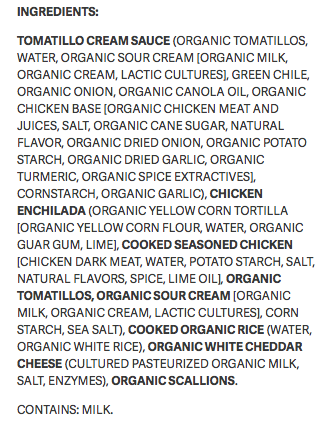 I admittedly used to have my share of frozen foods back in the day, but once I learned to read the actual ingredient list on our food products I stopped. 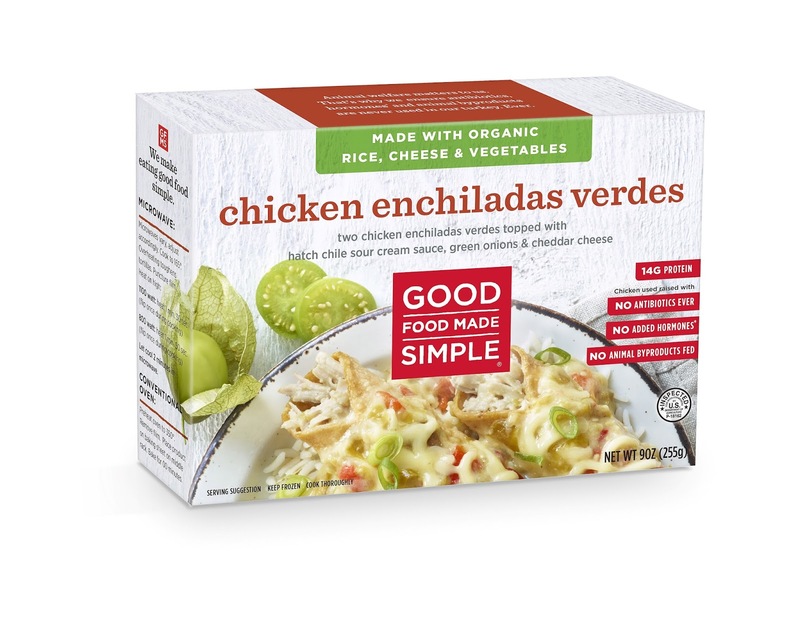 I gave the Good Food Made Simple products a try because of the same reason, I read the ingredients and was pleasantly surprised that their name actually matched what they put in their products. They recently added to their extensive product line, a new selection of Entree Meals, and I gave them a try. Before you imagine it to be more expensive because it has better, simpler ingredients..think again. They are marked at around $3.99, and can be found at a discount price in stores. The name is great, the price is great, the pictures are great, but how did it taste? I was excited to see many options available at my local Target store, and picked a few for my husband and I to try. I am happy to share that they all tasted very good, and left me feeling full and happy. Again, I was really pleasantly surprised by the flavors. It feels good to eat what feels like "junk food" because it is clearly coming out of the freezer but knowing it isn't filled with actual junk that's bad for you. No antibiotics, no added hormones, no animal byproducts fed, and made with organic ingredients. It doesn't beat freshly cooked meals at home in terms of the health factor, but it sure does beat calling out for a take-out order on lazy days in many ways. The portion size was perfect, and I actually thought it would be a great way for people counting calories and trying to keep a healthy diet. You can see clearly what is in the products, and it is perfectly portioned and ready to heat. Much like the dull frozen chicken and salad meals I see those who are looking to get healthy do, but probably full of better ingredients and much better tasting. Getting healthier and counting calories doesn't have to be dull and painful. I was truly pleasantly surprised, it heated up well, the food was full of flavor and if plated I wouldn't have known it was frozen at all.